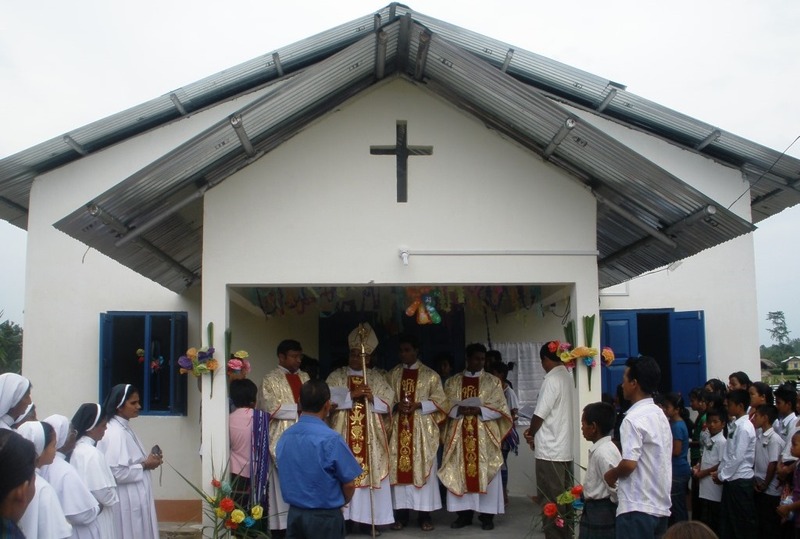 Nayang, Neotan, June 2: The People of Nayang village had every reason to rejoice as their long standing dream of having a new Church came to fulfilled on 2nd June 2013. The old bamboo Church gave way to a new Concrete Church, thanks to the help from the Sacred Heart Sisters from the Pala Province, Kerala, who donated the Church as part of their Jubilee Celebration. As the blessing was on the Feast of Corpus Christi, 25 children received First Communion and 40 people received the Sacrament of Confirmation.